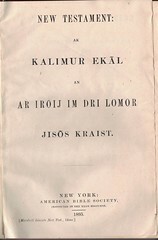 Publisher: American Bible Society, New York. Contents: Genesis, Romans, 1 & 2 Corinthians, Galatians, Ephesians, Philippians. Also includes 1, 2, 3 John and Psalms 1-14. 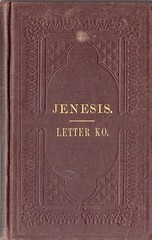 Description: Genesis: 165 pages, Letters: 184 pages. References: Book of a Thousand Tongues (1972) entry 823, Darlow & Moule 3471. 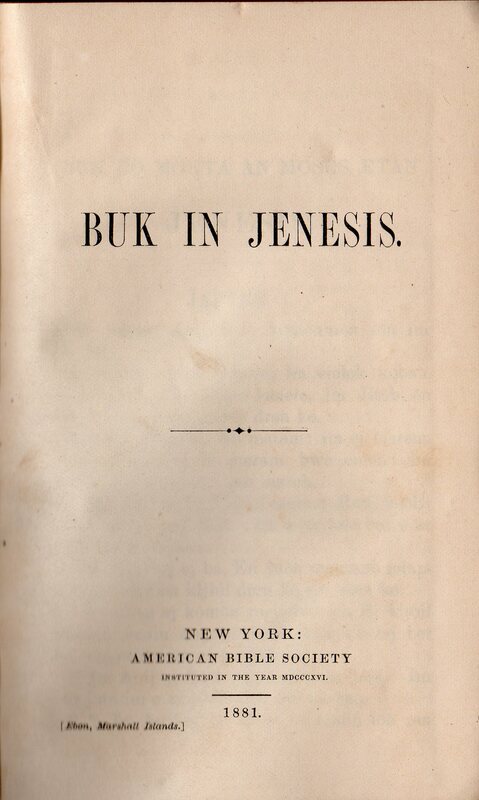 The first edition of the New Testament was published by the American Bible Society in 1885 and a revised edition with references was published in 1895. 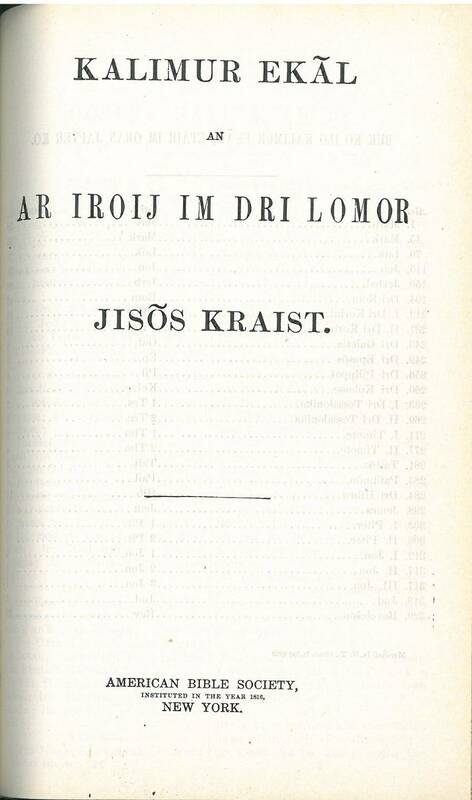 Title: New Testament: Ak Kalimur Ekal An Ar Iroij Im Dri Lomor Jisos Kraist. References: Book of a Thousand Tongues (1972) entry 823, Darlow & Moule 3473. 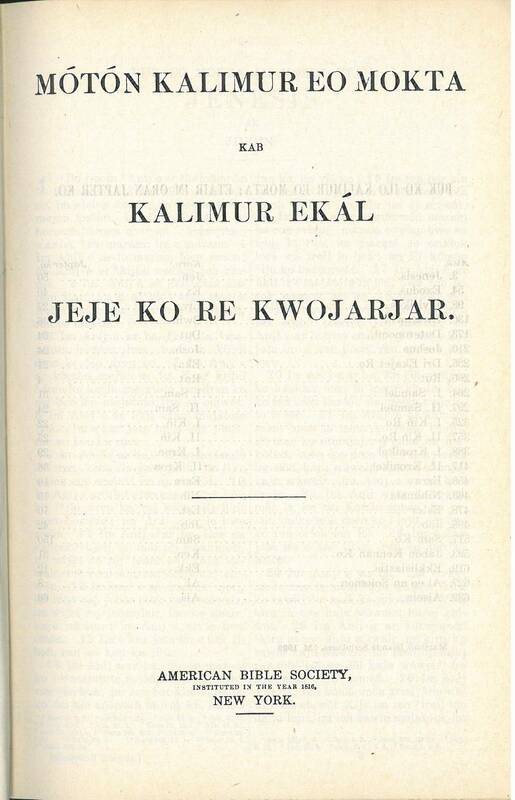 Title: Mótón Kalimur Eo Mokta kab Kalimur Ekál Jeje Ko Re Kwojarjar. 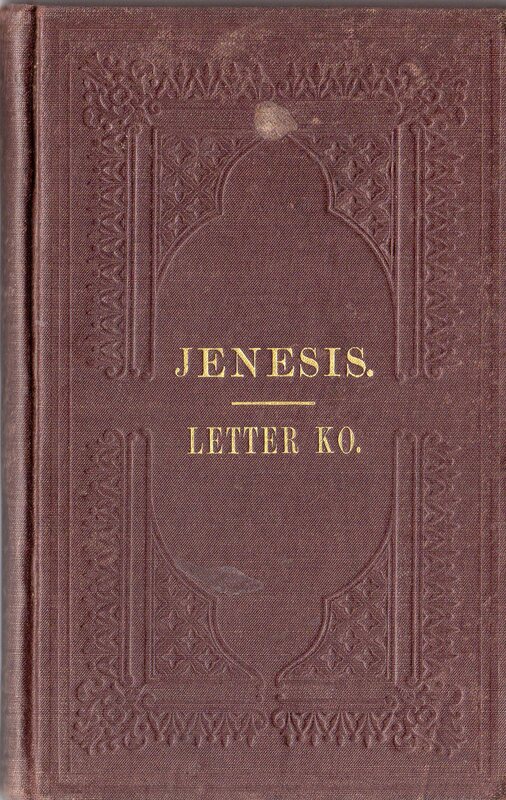 Publisher: American Bible Society: New York. 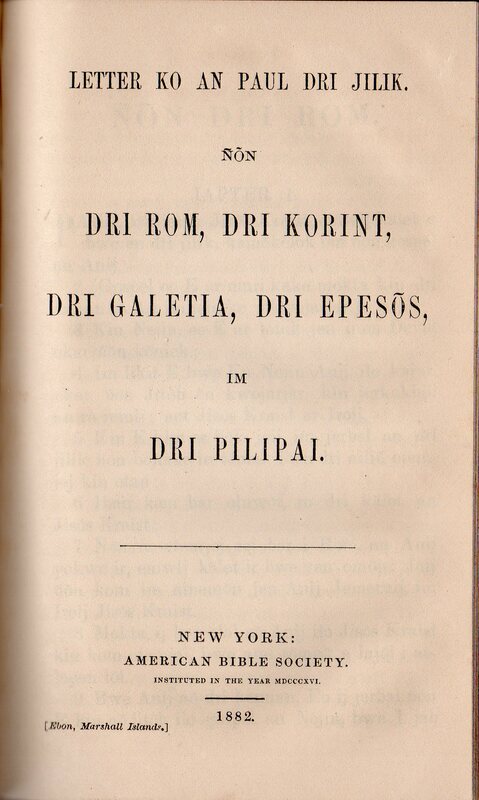 Description: OT: Title, Contents, p. 3-681, blank; NT: Title, Contents, 1-341, 3 blank. 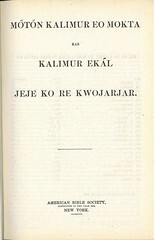 References: Book of a Thousand Tongues (1938) entry 604, Book of a Thousand Tongues (1972) entry 823. 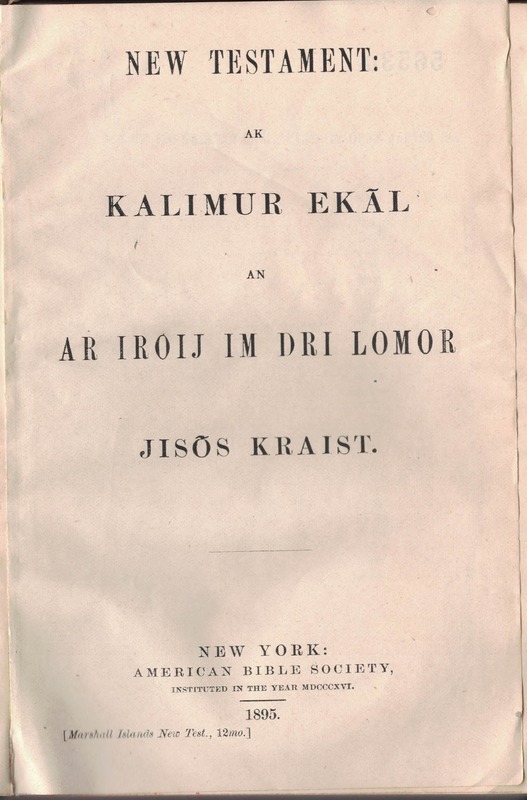 Translated by Edmund M. Pease, G. Pierson, E. T. Doane, B. G. Snow, and J. F. Whitney, American Board of Commissioners for Foreign Missions.